It is interesting to live on the edge of South Carolina’s border with the state of Georgia. I have been amused with the Augusta, Ga. television stations’ ads for that state’s political candidates. However amused I am with the not-so-subtle mudslinging, their ads are very well done and better than any I’ve ever seen in South Carolina. As a matter of fact, they’re so good, as an objective newcomer who knows nothing of the Peach State’s politics, I can’t easily discern who I would vote for if I was registered there. When every candidate says the same thing it all starts running together, and the truth is either lost or at least blurred. Jesus said something about knowing people by their fruit, and when it comes to Georgia, I’m clueless. What I do know is that every ad purports that their person has a solution to either real or perceived problems. I wish that was so! Wouldn’t it be great if there was a pill or a politician that would really cure all that ails us? Some might say that our national malaise is the product of a poor economy, the war on terror, election year mudslinging, the disintegration of the family, and sorry football teams. It’s tough when sports, one of our sources of distraction from life’s difficulties, only adds to the problem. So much for being a South Carolina Gamecock fan! So what are we supposed to do? What I’ve found when life is on a slippery slope is to do something worthwhile. It doesn’t matter so much what the task, just so it takes commitment. Psychologists, for years, have said that one of the best ways to get out of the doldrums is to make yourself do something for somebody else. They’re right! If we give in to the pits we’re never going to get out of them. Commitment is the ability to push through the pain, the angst, the pessimistic cynical mindset in which we find ourselves and keep at the projects that we’re supposed to complete. We shouldn’t vegetate and let our burdens build up. Doing something good and worthwhile is a better answer. It’s all about commitment. Lewis Smedes puts the matter quite plainly, “I want to say to you that if you have a ship you will not desert, if you have people you will not forsake, if you have causes you will not abandon, then you are like God… When a person makes a promise, he reaches out into an unpredictable future and makes one thing predictable: he will be there even when being there costs him more than he wants to pay. When a person makes a promise, he stretches himself out into circumstances that no one can control and controls at least one thing: he will be there no matter what the circumstances turn out to be. With one simple word of promise, a person creates an island of certainty in a sea of uncertainty.” Amen! Think what would happen if we followed Smedes’ advice. What a better world we would have if we kept our end of the bargain as employees even when under-appreciated, as spouses to our spouses even when things are rocky, or as parents to our children even when feeling disrespected and worn out. When we’re in a funk do something positive. Don’t lash out. Do the unexpected – your duty! Doesn’t this apply to our faith communities, too? Wouldn’t our churches be better off if members actually kept their promises and vows? Someone said that there are three different kinds of believers: “if,” “because,” and “regardless.” An “if” believer follows God IF he or she receives blessings and rewards in return. This person waits to see what God will do first, then decides whether or not to respond in obedience. A “because” believer follows God BECAUSE God blesses the person. This person has seen the connection between personal obedience and God’s blessing and wants to keep it going. A “regardless” believer follows God REGARDLESS of the person’s circumstances, cynicism, and hardships. A “regardless” believer honors commitment and knows that God is faithful to the faithful. Which are we? How you act today casts your vote, so choose wisely! Do something worthwhile, follow God, and do the right things REGARDLESS. Yesterday afternoon I noticed that our pansy bed looked pretty bleak. Too many of the blooms had disappeared and stared forming bulging seed pods. My mother taught me years ago that unless you pinched off the dead heads then all the pansy’s efforts and energy would go into self-preservation. Pansies want to make seeds to propagate new pansies, but my mother wanted more blooms, not more pansies! If you let the plants spend all of their nutrients in forming seed pods there would be no new flowers. This is an interesting analogy for my Monday morning thoughts about the United Methodist Church, Pope Benedict’s upcoming resignation, and the church at large. How much of our energy is spent in preserving the institution or producing blooms? I’m headed tomorrow to the General Commission on Religion Race where I serve as a Director and member of the Executive Committee. We have listened carefully to the findings of the United Methodist Church’s Call to Action: that we need younger people, more diverse people, and more people. To accomplish this do we do what we have been doing and preserve a valued history, or do we reach beyond our legislated responsibilities of monitoring the past? This is the crux: monitor the past or resource the future! Will we proactively focus on assisting annual conferences and local churches so that they produce fruitful diversity? But is this all that there is to the parable? My mind has been whirring like a top this morning! 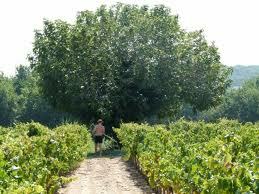 I never noticed before that this is a fig tree in a vineyard full of grapes! The vineyard worker knows grapes, not figs. Fig trees don’t get deadheaded or pruned; grapes do. Why would anyone want a fig tree in a vineyard anyway? Was its purpose to provide snacks for the vineyard workers? Am I thinking too literally? Probably, but I never noticed that this was a parable about cross-cultural appointments! Ah! We’ll I am a District Superintendent and I know the hard work of cross-cultural/multi-cultural appointment making. One of the best ones in our Annual Conference is occurring because we spent a year preparing everything, and it has taken five years of digging and fertilizing to see a great return on our efforts. We get the results that we work for. If we want flowers instead of ungerminated pansy seeds, we have to deadhead the vampire pods that are sucking the life out of making blooms. In the church we often avoid the difficult tasks of discipleship assuming with false hope that things will turn out okay if we just passively wait things out. That kind of inertia preserves the institution, but doesn’t bear fruit. Oh, we can make excuses about not being planted where we’re supposed to be; i.e., with other fig trees in an orchard tended by someone who understands in ins and outs of fig trees, or we can bloom where we’re planted, even in a vineyard surrounded by grapes that are raisins in the making! I often think that we would rather preserve the institution; i.e., the fig tree, the vineyard, the pansies, the papacy, and the church than dig around, add effort for change and upset the status quo! We would rather focus on what we know which are grapes than deal with an opportunity to branch out, pun intended, into fig production. God help us if we are so myopic that we miss the fact that this world has more opportunities than we can imagine if we are willing to diversify and broaden our thinking! Wouldn’t the Roman Catholic Church do well to address its male-only priesthood? Will the Roman Catholic Church use this critical time as an opportunity for change, or spend its energy preserving the institution? There are huge questions that the United Methodist Church must answer, too. Can we solve spiritual problems with structural solutions? How do we profess to have open hearts, doors, and minds yet find ourselves fractured by both liberal and literal fundamentalism that leaves no room for compromise? Are we arguing among ourselves more than we’re making disciples? Every general church agency, every local church and every Christian has a question to answer: What are we here for – to produce more pansies/new churches, or to produce more new blooms/disciples? What do you think the answer is, deadhead or not? Adaptive Leadership Opens Door for God! Adaptive leadership versus technical leadership is the buzz in the business world and the church. Technical leadership tackles a problem in a linear end-goal way: A+B+C=D. It answers problems with clear solutions. Sometimes technical answers to problems are necessary. They sure can be easy and WRONG! Life is much more ambiguous than simplistic answers. Adaptive leadership’s answers allow for complexity and uncertainty: A+B+C=A. Adaptive solutions have enough structure as to be effective, but seldom have a one-size-fits-all certitude. The simple answer is that things are never simple. Technical leadership tends to be top-down and hasn’t worked in the church since James and John put their Mom up to asking Jesus if they could sit beside him in the Kingdom. Their position-of-power understanding of leadership was turned on its head by Jesus in his ministry to the least, the last, the lowest, and the lost. Jesus modeled the greatest adaptive leadership tool ever used when he washed the disciples’ feet (John 13:1-17). Clearly Jesus’ leadership was adaptive more than technical. Jesus practiced open-ended servant leadership by constantly yielding to the whims and vagaries of life and the ever-occurring poor decisions of his closest followers. Technical leadership from Jesus wouldn’t have been eager to wash the disciples’ feet. Technical leadership would have proclaimed, “Here’s what we’re going to do!” What Jesus did was teach in ambiguous parables that left great latitude in interpretation. It’s like the difference between a funnel-in-the-head three-point sermon, and an open-ended sermon by Fred Craddock that leaves you hanging and taking personal responsibility for how the message ends or actually begins. Ponder the dichotomy in our denomination right now: on one hand they want us to measure everything seeking a technical solution to what ails us, but, on the other hand, they say we need to be nimble and meet the adaptive challenge. Maybe the two can go hand in hand, but it strikes me as a desperate search for a technical solution to an adaptive spiritual problem. Accountability is a good thing, but I don’t recall Jesus ever asking his disciples about numbers. He wanted faithfulness knowing that what he told Nicodemus was right in John 3:8, “The wind blows wherever it pleases. You hear its sound, but you cannot tell where it comes from or where it is going. So it is with everyone born of the Spirit.” This means to me that the measurement of the Spirit’s actions is hard to do! You can know some things like the sound, but to measure more than that is to box in the Spirit. This has all made me think about the tension between a live-and-let-live openness to church ministry and top-down “my way or the highway” strong-arming. Who am I, even as a District Superintendent, to declare by “divine” fiat that a church or its leadership is flatly wrong? Yeah, I know: I’m supposed to interpret and decide all questions of church law in the Columbia District (Par. 419.10, 2012 Book of Discipline and 423.13 in 2008), but what’s more important – doing things right (technical solution), or doing the right things (adaptive solution)? “Ten years after his death, Edwin Friedman’s insights into leadership are more urgently needed than ever. He was the first to tell us that all organizations have personalities, like families, and to apply the insights of family therapy to churches and synagogues, rectors and rabbis, politicians and teachers. What this boils down to for me is theological: the difference between process theology and a static understanding of God’s work in the world. I am quite orthodox in believing God is immutable and unchanging in God’s nature, but there’s plenty of evidence that God is constantly responding in ever changing ways to our human vagaries. Such is the unchanging nature of God’s love towards the whole creation. Why would we have to pray “Thy will be done…” if God already gets God’s way all the time? Praying promotes adaptive leadership because it trusts in a God who can answer in lots of ways! The upshot of this is to approach problems/opportunities from every angle and without a specified result in mind, and trust that the Lord is going to always be on our side. I need the nerve to let things play out and respond accordingly, secure in God. The answer is, of course, “Yes!” Adaptive Leadership leaves room for the whims of butterflies, evil, and the Spirit of God. Technical leadership reads more like a dry book on systematic theology that boxes life and God into fixed presuppositions and predetermined actions. Adaptive leaders rely on the greatest adaptive leader, Jesus. He can give us the nerve to navigate the uncertain waters through the certain assurance of divine love! Take comfort: Jesus and you are going to have a great adventure today! Armchair quarterbacking isn’t just a description for sports fanatics who party hard and offer unsolicited advice to coaches and players. The church is full of the same kind of couch potatoes, too. So many people try to enjoy the benefits of Christianity and the church without contributing anything themselves. I’m a bit tired of hearing churches complain about their pastors, when they themselves don’t offer to do anything to help. I also tired of pastors who say that they didn’t do such-and-such because that wasn’t what God called them to do as clergy. Give me a break! Being a follower of Christ pushes us past our comfort zones. If not, then our Christianity and our call are called into question. Jesus said, “If anyone would be my disciple, he or she must take up a cross and follow me.” There is no comfort in cross bearing. Being Christian certainly places demands upon a person. Church is not a spectator sport. Like fall football games, one has to get into the game and contribute to earn a letter. The church throughout the ages has been called to be active players for Christ. In our United Methodist vows for membership people are supposed to uphold the church by their prayers, presence, gifts, service and, newly added, witness for Christ. Being a witness for Christ should have been assumed all along, especially since, in Acts 1:8, Jesus said that we would be His witnesses from home to everywhere. The scary part is that the Greek word for “witness” is the root of the word, martyr. For centuries, Christians knew that their faith was synonymous with martyrdom, a willingness to die for Jesus. How unlike today, we might assume. Yet, Christians are still put to death for their faith in places like the Middle East, Sudan and India. Self-sacrifice and cross-bearing are happening in the U.S., too. At charge conferences I hear how individuals and churches have been witnesses. I have seen real discipleship. I have heard reports about mission trips to Colombia and Nicaragua, Salkehatchie Summer Service, support for Killingsworth Home for Women, Epworth Children’s Home, Sistercare, Oliver Gospel Mission, countless food pantries and so many more ministries. The list could go on and on! However, the 80/20 rule does bother me. A common theme is how so few do so much in our communities and in the life of our churches. The 80/20 rule states the obvious – 80 percent do 20 percent of the work and 20 percent do 80 percent. Authentic Christianity is defined by the 100/100 rule. By virtue of our baptism every Christian is called to ministry. One hundred percent of us are called to do one hundred percent of the work, with one important qualification. We are to give and serve according to our abilities. Not all of us can go overseas or preach a sermon. Not all of us can give thousands of dollars to the work of the church. But, we can all give and do our fair share as God has blessed us. Therefore, we should give and do as God has given and done for us! I’ve got some churches and pastors freaking out about metrics. I’m not a personal fan of them myself if they are used against a church or pastor. I think that they are great if they help a church gauge how it is doing and then reset their priorities, goals, and strategies. I like what Bonnie Ricks said, “Our actions are a reflection of our faith, not a report card.” Frankly, though, they are a little bit of both. They are a reflection of our faith and faithfulness and should be a report card spurring us on toward love and good deeds. Halfwayness and mediocrity is killing us! We need people to be all-in for Jesus! Do you want to play church or be the church? It ain’t for the faint of heart! I’m excited that the Olympics are cranking up. Like most sports it offers a respite from the work-a-day world of mundane responsibilities. Then we can get really serious about something that matters: college football. Whoa! Sports isn’t just a metaphor for life. For many it is life. Ask Michael Phelps who has been a tadpole his whole life, or the child warriors who have balance-beamed/beaned themselves in the head since they were toddlers. The Olympics and all sports are about dedication. That’s why we can’t abide cheaters. You either earn it fair and square or not. There’s honor in giving something your best shot and losing to a better person. There’s a whole gamut of different emotions if somebody doped their way to victory. It makes the whole notion of accomplishment a sham. As much as I like the idea of giving all the little-leaguers a trophy for just being on the team, it lessens the achievement it takes to be the real deal and come in first. I’m glad that the Olympics has drug testing and I’m fascinated by the last surge the swimmers make as they touch the timer at the end of their swim. We need photo finishes and all the other measuring devices to help keep us honest. Some would say that’s the purpose of using metrics in the church, too. You know, the weekly dashboard reports that get sent in electronically denoting worship attendance, professions of faith, monies raised for missions, number of people in small groups, and numbers of people doing mission work. Yes, sirree, measure up in these categories and you’re a “vital congregation!” Gosh, if it were so easy. While I might support local churches using these numbers themselves to gauge their own spiritual progress, I have a hard time seeing me as a District Superintendent measuring a church or clergyperson’s worth on numbers that could be easily falsified or misunderstood. That’s about as inaccurate as using someone’s salary level or years of service to denote how good someone is in ministry or how bad a local church is because their church can’t afford the extravagant cost of direct billing. What I’m trying to say doesn’t mean that I don’t support accountability. We’ve been measuring this stuff forever at Charge Conferences and with year-end statistical tables, and the church is still in decline. Maybe doing the weekly math will help keep some honest, but forced compliance will likely flip the intrinsic joy of doing ministry into just another extrinsic hoop through which to jump. Coercion is not a good motivator. Then there’s another problem. Numbers lie, except maybe in the Olympics. Thank God I have a District Statistician that alerts me to churches whose numbers have jumped or declined significantly. We make phone calls to see if somebody made a mistake. It happens enough that I am convinced that the only way to measure a local church or clergyperson’s effectiveness is through lots of personal contact. I have to know the lay of the land with churches and people. I cannot sit at Metrics Central and let impersonal numbers do all the talking. They cannot tell the whole story. I can’t even trust my own perception alone. I may hear a sermon and think it was yuck, but standing around the shade tree after the service with the church people I may learn that Pastor _______ spent most of the week helping a bereaved family or a crisis-facing teenager. Then who gives a rip if that sermon wasn’t up to Fred Craddock standards? The incarnational presence of that follower of Jesus was off the charts for those who knew better than I. Therefore, I have to listen, intuit, and use any means possible to sense the sometimes imperceptible growth of the Kingdom in a given place. Metrics may help but the church isn’t the Olympics. Yes, I agree with all the fruitfulness stuff that Jesus talked about, but I also know He said that the Kingdom is like a slow growing sprout from a mustard seed. Oh, Lord, inspire us to do ministry more than measure it. Is there a middle way that honors the Holy Spirit’s timetable, and acknowledges our panic over numbers? Relative Change or Real Change for the UMC? In teaching Wesleyan theology I have come to describe justifying grace as the point at which we experience relative change, a straightening out of our relationship to God through Christ. I have described sanctifying grace as real change when we actually become like Christ. Our faith matrix as Wesleyans is best described as a house. Prevenient grace is the steps to the house. Repentance is the porch of the house. The doorway into the house is justifying grace. The whole house is sanctifying grace. We’re not people who want others or ourselves to stay on the steps, the porch, or at the doorway. For Wesley and our denomination we want people to experience the grand house of holiness – personal and social holiness that transforms the world and us. As we ponder the Call to Action we need to remember our theology no matter if we’re liberal, moderate, or conservative. Pardon the use of labels, but name tags are on my mind as I just got back from the National BMCR meeting and am about to fly out to a Connectional Table meeting. We like to wear name tags at these meetings. Name tags tell other people who we are, and they’re also a reminder to us as to who we are. As hectic as life gets that’s a nice fringe benefit. I usually don’t care for name tags. I like being anonymous. On a trip a few years ago to Christ UMC in Bethel Park, Pennsylvania, just outside of Pittsburgh, a group of us large church United Methodist ministers were on hand to survey how that church does its ministry. We went to all four worship services taking in each service’s nuance. They wanted us to sit together down front with name tags. I wanted to sit unobtrusively in the balcony without a name tag. I thought it would better help me accurately gauge the congregation and the services. People treat you differently if they know who you are. Sometimes I would rather get lost in the crowd and observe. Simon Peter tried that tactic after Jesus was arrested. In the courtyard of the High Priest’s home Peter tried to hide the fact that he was one of Jesus’ disciples. He didn’t want to stand out. Simon Peter didn’t want anyone to associate him with Galilee or anyone from there. He ended up preserving his secret identity by denying Jesus three times. He kept his secret but almost lost his soul. We need to remember who we are and Whose we are however much we like to be secret agents for God. A church member was asked why he didn’t witness for Jesus more. His reply, “I’m in the secret service!” Sure, it is better to do good deeds without fanfare or calling attention to ourselves, but sometimes we let Jesus down by not giving Christ the credit that he’s due for the things that God does through us. If we want the Call to Action to work we better get/understand who we are and do something with that knowledge. I’m going to dare call it an age-old term that’s loaded with baggage for many – “witnessing.” Craig Bird describes witnessing in his article, “Gearing Up for God.” He writes: “Ancient Rome: Two strangers meet along a dusty road. Miles pass in pleasant conversation. Obscure references to religious ideas slip into the dialogue. The men sense a spiritual kinship but are wary of expressing it. After all, Christianity is a criminal offense punishable by death. They stop to rest. The discussion rambles from the latest war news to the price of bread and the hijinks of the Roman Senate. The younger of the two pushes his walking stick through the dust as he talks, tracing half an oval. The older man glances at the mark, then into the eyes of his new acquaintance, and quickly around to see who else might be paying attention. Then with his own staff, he draws a mirror image, connecting with the first line at one end but intersecting it at the other. “He is risen!” he exclaims. “He is risen indeed!” comes the reply. Modern Rome: Two American tourists meet while waiting to clear customs. One wears a $50 pullover knit shirt. The logo replicates what the ancient Christians drew in the dirt – an emblem of a fish. The other sports a baseball cap with a four-letter acronym on the crown: WWJD? “Nice shirt,” says one. “Great hat,” says the other. What a difference a few centuries make. The cost attached to that original Christian icon was severe. Display the fish symbol, and the culture could demand you pay with your life. In the 21st century, the cost of Christian symbols is more ambiguous. Christian gear – clothes, jewelry, bumper stickers and related merchandise – generates an estimated $3 billion in annual revenue. But the real value of those purchases is more difficult to peg. Some evangelicals say “Christian wear” is an effective witnessing tool. Others say it does more harm than good, particularly when the actions of Christians contradict their T-shirts. Some things haven’t changed over the centuries. Now, as then, Christian symbols remain a means of identifying “friendlies.” But what was once a furtive code for a persecuted religious minority is now a spiritual fashion statement. While early Christians contemplated, often in the dank darkness of the underground tombs of Rome, how to live faithfully the example of Jesus, today’s believers, especially evangelicals, are apt to broadcast that intention on brightly colored bracelets and T-shirts asking, “What Would Jesus Do?”’ I think a better idea is putting our money where our mouth is, our faith into action, and our love into good works more than words! But if we don’t tell people the Reason (Jesus) why we do good works then we might as well be Rotarians. I’ve been in Rotary and their “Four-Way Test” is pretty darn good. Jesus is even better. As I ponder the Call to Action and the proposed restructuring of the United Methodist Church I am more and more fearful that we are rearranging deck chairs and not emphasizing Jesus enough as the why. There’s much good to be sure in the proposals, but a structural solution to a spiritual problem only gets us so far. Repentance and revival are needed to grow our church. We have to call on the Lord! Metrics may help us gauge how well we’re doing. Developing new missions and ministries, small groups, better leaders, and relevancy to younger people are great strategies to be sure, but the word everyone is avoiding is “evangelism.” We have to shed our anonymity and get right with God while we dare to speak to people about God’s marvelous grace in Jesus. That’s a call to action that will do much more good in turning our church around. If we want people to know Christ we have got to invite them from the steps into the house! Those of you who know me well are aware that Mt. Mitchell in North Carolina is one of my “thin places” where I can more easily get close to God. It’s a Canadian climate zone with plenty of balsam and Douglas firs. Their smell and the whipping wind and the swirling clouds close the distance between this world and the next. I have a -40 degree sleeping bag and a 4-season tent to get me through the weather’s bluster. The harsh elements overcome any noise that I’ve brought with me up to the mountain. Everybody needs a place to drown out the cacophony of negative voices. In my mind as we prepare for General Conference 2012 this is a time for intense listening. We call it Holy Conferencing but it’s so hard to do. Although listening to each other is critical, it has dawned on me that it’s much more important to listen to God. With the Call to Action legislation this is even more neccesary. There are voices on various sides garnering attention. I have been one of those voices. I am willing to lay down my preconceived notions, stop talking, and listen to God. I’m also ready and willing to listen to what others are saying. We are Peter, James, and John (Wish there had been some women there!) as a denomination. We’re going to build a new structure/tabernacle for Jesus. Yes, we need this to happen, but we better listen to God first. We cannot solve a spiritual problem with a structural solution or it will flop like so many others have done before. We have to have a transfiguration as a church. This Sunday is when we commemorate Jesus’ transfiguration. Jesus was on the mountaintop with Peter, James, and John. His clothes turned brilliantly white and his face glowed. Moses and Elijah appeared to him. Peter wanted to build three shelters, one for each of the dignitaries. Then they all heard God’s voice boom from heaven: “This is my beloved son. Listen to him!” This whole event was quite the mystery, therefore, it is appropriate that this Sunday caps the season of Epiphany that is filled with the mysterious and miraculous. It’s all down hill from here. Next week Jesus is plunged into the march toward the darkness of Passion Week. What’s the message of the Transfiguration? Theologians and preachers have dissected the event in an attempt to make sense of it. Perhaps its greatest message is that sometimes, especially in the midst of the holy, we honor God best by saying nothing at all. By talking too much we detract from the event that we are trying so desperately to explain. The radio station KGO in San Francisco conducted a call-in poll. The host invited listeners to express their opinion. Thirty-five percent said yes, thirty-three percent said no, and thirty-two percent were undecided. One listener, upset at the large number of undecideds, protested by saying, “It’s this sort of apathy that’s ruining America.” The only problem with all of these responses was that the radio station never posed any question. Therefore, it’s not apathy that’s getting most of us into trouble – it’s shooting our mouths off about things that we know nothing about. Smugly saying that we can explain something as mysterious as the Transfiguration weakens its impact. We end up sounding like snake-oil salespersons with slick grins on our faces acting chummy with God. If we over-confidently state how cozy we are with God then we may just be wrong. Our attempts to explain God’s mysteries end up sounding about as truthful as a fish story. To tell the truth, I can’t explain the Transfiguration, so I’m going to keep quiet. Maybe then I’ll be able to see past the clouds that we call reality and see Jesus for who He really is! His voice is the one calling out to me today, and I’m going to listen! I hope our church does the same as we prepare for General Conference. Love & Marriage: Mutuality of Purpose! In the little bit of television that I get to watch last night was one in which the shows featured their annual Valentine’s Day entrees. Whether through sitcom or sermon this is a perfect time to focus on relationships – with each other and Christ. Both remind me of Lucy and Schroeder from the “Peanuts” comic strip. Schroeder is the toy-piano Mozart playing intellectual type and Lucy can be a bit difficult, but she’s had a consistent crush on Schroeder. Anyway, in one of the comic strips she walks over while Schroeder is playing and tries to get him to think about her and love. She asks him, “What is love?” He gets up from the piano and looks out into space and says, “Love: a noun or a verb meaning having a deep affection for a person, place, or thing.” Then he sits back down and starts playing again. Lucy then looks off into space and says, “On paper he’s great.” Unfortunately, this is too often true about our interpersonal relationships, and our relationship with Christ. On paper we’re great. How about our actions? The Call to Action legislation says that we can fix our denominational problems through restructuring. I’m wondering if our real dilemma is a spiritual issue that all the tinkering in the world can’t fix. We need to bathe this whole process and the upcoming General Conference in prayer so that a spiritual renewal takes place. Perhaps if we do that first then all the structural pieces will fall more easily into their proper place. Paper answers cannot solve a spiritual problem. Love in action is a better place to start! The speaker at a woman’s club was lecturing on marriage and asked the audience how many of them wanted to “mother” their husbands. One member in the back row raised her hand. “You mean you really want to mother your husband?” the speaker asked. “Mother?” the woman said. “I thought you said ‘smother.’” In a true marriage smothering doesn’t take place. There is a free mutuality of purpose and a partnership of respect. Unfortunately there have been lots of people who seem to totally misunderstand what marriage really is. Such a man lived in Redlands, California. His name was Glynn “Scotty” Wolfe. Wolfe was married 29 times. Worse, this guy was a Bible-thumping Baptist minister! As far as I can tell he still holds the Guinness’ Book of World Records title as the most-married man. He died in a nursing home in 1997 at age 88, just 10 days before his first wedding anniversary with No. 29, Linda Essex-Wolfe, the world’s most-married woman with 23 husbands. Even though they lived apart – she in Indiana, he in California – their 11-month marriage lasted longer than some of their others. Wolfe’s shortest was 19 days, while Essex-Wolfe once ended a marriage after 36 hours. Both of their longest marriages lasted 7 years. Wolfe left one wife because she ate sunflower seeds in bed, and divorced another because she used his toothbrush. When he died Wolfe’s body lay unclaimed at the San Bernardino County morgue. Big surprise! No one wanted to pay the cost of burial. Since no one stepped forward to claim him, Wolfe was cremated by the county and put in a collective grave. Wolfe attracted worldwide attention the year before he died when he wed Essex-Wolfe. The National Enquirer introduced the pair in his hometown of Blythe, California. At the time, he was married to a 17-year old girl from the Philippines. “As soon as I saw him, I knew I cared for him,” Essex-Wolfe said. “He was a charmer. He married a lot of beautiful women, a lot of young women.” They spent only one week together before getting hitched in front of cameras for a British documentary about marriage. Unwilling to leave her hometown, the bride flew back to Indiana the next week. Unwilling to venture into the cold weather of the Midwest, the groom remained in California. They stayed in touch by writing letters. Scotty Wolfe was married 29 times, but he died alone with no one to give him a proper burial. It doesn’t take a rocket scientist to figure out why. The man didn’t understand either commitment or very little, it seems to me, about true love. If we don’t do better than Scotty Wolfe in loving our spouses, other people, and especially Jesus then we can forget about solid relationships! The Call to Action for me this week through Valentine’s is a Call to Love in Action!